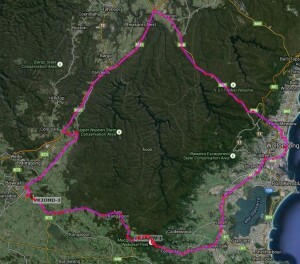 Above is a screenshot of the 140km track. It reinforces my previous experience that coverage on Picton Rd is a bit patchy, Mt Ousley is very poor, Wollongong – Albion park is patchy. It is hard to tell looking at other people’s tracks where are mostly poorer, but there is some underlying lack of quality coverage in the North Wollongong to Dapto region especially. 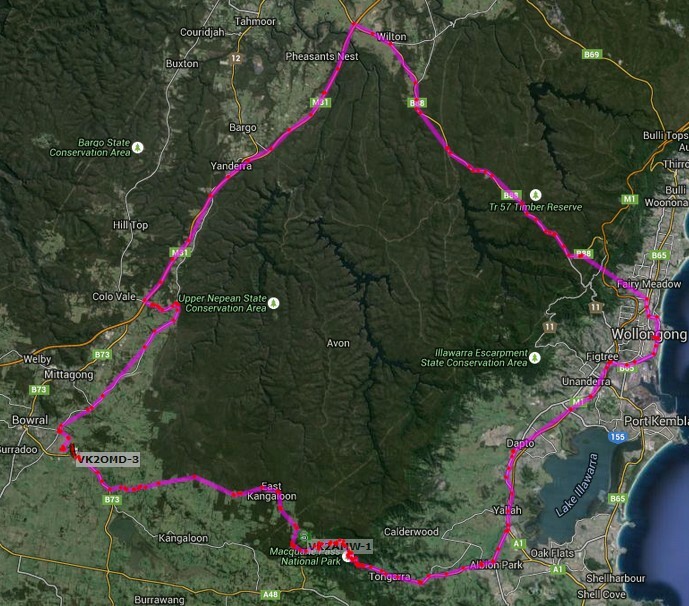 I did review how many packets VK2OMD-3 (Bowral) heard from VK2OMD-8 direct to VK2RHR-1 during the drive from Bowral to Wollongong. (VK2RHR-1 is located about 5km west of the centre of the left edge of the map). I was surprised that it was just 3 when 98 packets were heard from all sources (direct, VK2RHR-1, VK2AMW-1, mostly VK2AMW-1). I thought VK2RHR-1 would have better coverage of the Hume and Picton Rd where coverage was sparse and apparently mainly from AMW (plus a few packets direct to Sydney iGates), but we should not forget it uses an Argent Data T3-135.